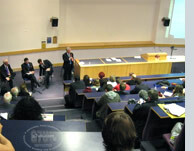 You can comment on the blog post about this event. 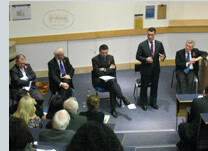 The Police Commissioner hustings event was held at the Roscoe Building, Manchester University, on November 6, 2012. 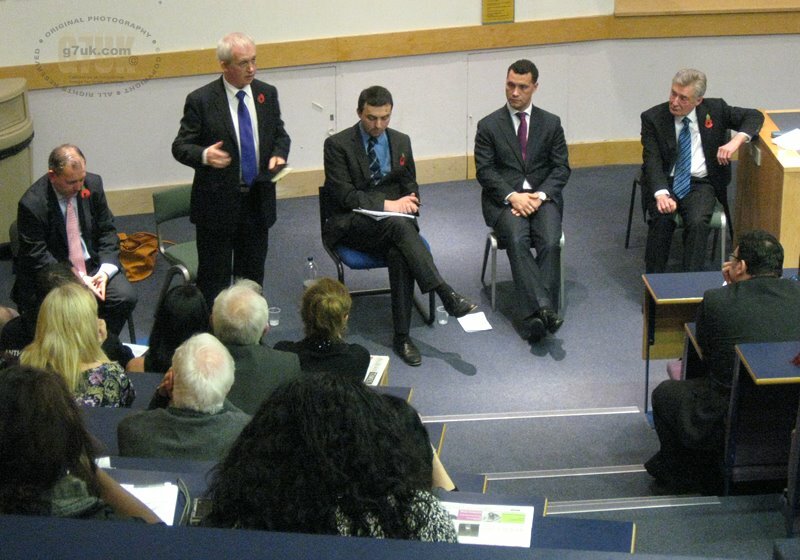 Four of the candidates were present: Matt Gallagher - Liberal Democrats, Tony Lloyd - Labour Party, Michael Winstanley - Conservative and Steven Woolfe - UK Independence Party. Roy Warren - Independent - couldn't attend due to ill health. 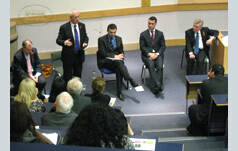 The event was organised by the Manchester Evening News. 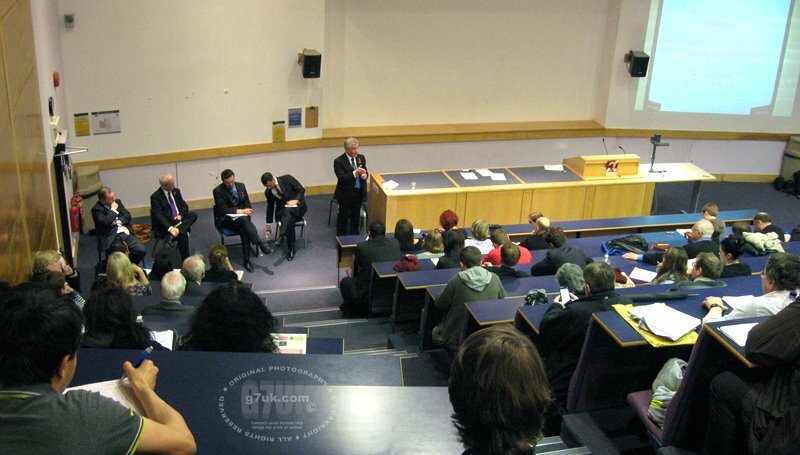 This video shows the initial speeches. 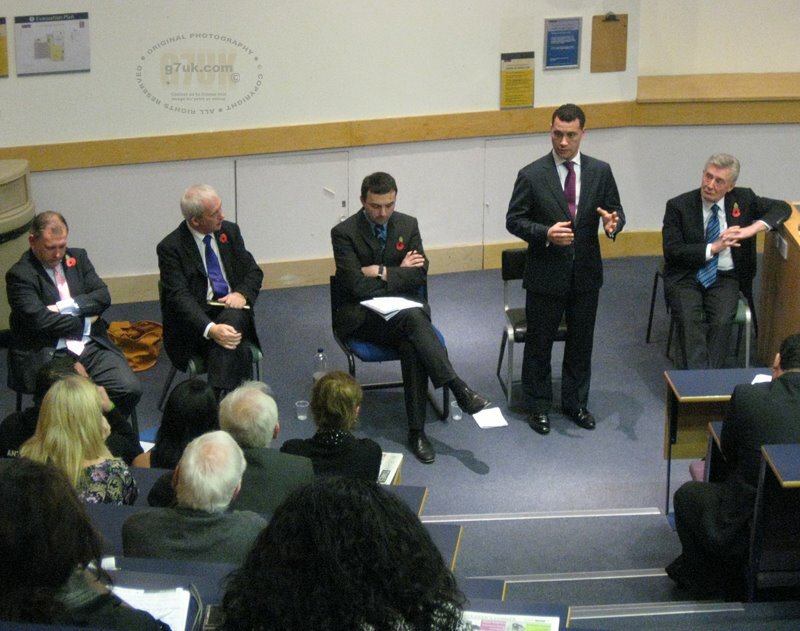 Each candidate was allowed to speak for about three minutes. Technical details: Panasonic HDC-SD80 camcorder, edited with Sony Vegas Pro 10, encoded with XMediaRecode and MetaDataMover.